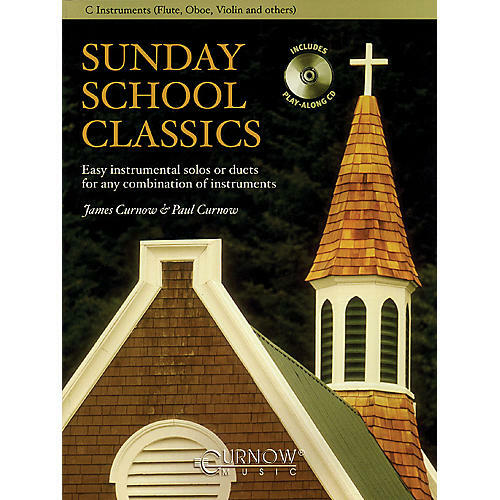 These new arrangements of standard Sunday School songs provide the opportunity to play in many different styles and to grow musically while performing in church or other settings. These arrangements are designed so that they can be used in two different ways: as a solo or as a duet. Any combination of instruments can be used together as long as each performer has the appropriate book for the key of their instrument. The CD includes creative and imaginative background accompaniments. 12 pieces, including: Amazing Grace · Jesus Loves Me · Just a Closer Walk · Onward, Christian Soldiers · Peace like a River · When We All Get to Heaven · and more.